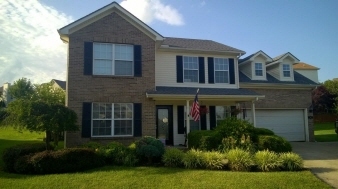 Description: Beautiful 2 story home located on a cul-de-sac. Nice level lot. 4 bedrooms, 2.5 baths with plenty of room. Great room has a wood burning fireplace. There is a 2 car attached garage built into the main level. Attic has pull down stairs for storage. New roof in 2011 and a new hvac system in 2015. Covered front porch, wood fence, patio and a shed. Data believed correct but not guaranteed. Buyer to verify data prior to offer. Agents read agent remarks.